For some reason Firefox for Mac is sluggish while using Gmail and Yahoo Mail. I am now using Camino as my primary Mac browser while still using Firefox on my PC. Hopefully the folks at Mozilla will compile a separate version of Firefox that is faster on the Mac. Until then, I'll be using Camino. 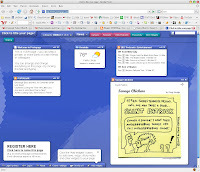 This is a very interesting add on for Firefox that allows you to turn any web page into a white board. It also has a place mark feature that allows you to mark your place in web pages. This one only works on Firefox but is a great example at what the next generation of the web has in store for us. I've been playing with a new web browser on my Mac this week called Camino. It was recommended to me by cmp101. Camino is a very, very fast Mozilla-based browser for Mac only. I was a bit skeptical at first, but Camino is seriously growing on me. It doesn't have all the options and plugins that Firefox does, but it's very fast. If I can get a few kinks worked out, this one is the browser of choice for me. For some reason Firefox is sluggish on my Mac, unlike my PC version. Camino is anything but sluggish and has a very fast rendering engine. I love it. Give it a try at the link below. There's no easy answer. You have a web site with a contact us form, and someone out there uses it for spam. If you're using Formmail.pl or a similar script you should make sure that the recipient's email is not passed through http. In other words, hard code the recipient email in the script. I was using the server's cgiemail script for some web sites I was managing and all of a sudden, several servers were spamming us big time. I tried blocking their IP addresses in the .htaccess file, but because cgiemail was in the server's cgi folder and not under my domain, the blocking didn't work. The solution for me is not full proof, but here's what I did to cut down the spam by about 99%. First, I used very obscure names for my form fields. Name, email, subject, etc. are just too obvious. We'll use these obvious names for the bogus forms to confuse the bots, but use obscure names for the real form. I created several bogus forms with hidden fields above and below my actual form. This confuses the bots and keeps my inbox spam free. Here's an example of a bogus form. What makes the form bogus? I give a path to bogus.txt but that file doesn't exist. The bots will not be able to send spam through this form. Also, by using obvious names like realname, email, and subject the bots will likely try to fill out this form and then not look ahead for the real form. Some bots can find more than one form so I put 5 of these before my real form, and 2 after. This confuses the bots and cuts down the spam big time. By using the style="display: none;" tag, these forms appear invisible to the user but visible to the bots. Give it a try! It's not full proof, but since implementing this plan I've received only 1 spam through the forms. This is simply the coolest start page I've seen to date. These new web 2.0 applications are outstanding. Here's an interesting start page that acts more like a desktop within your browser than a simple web page. Here's an interesting site that introduces you to new videos you probably haven't seen. They have channels setup that you can choose from. You give them your preferences and they expose you to new videos. Pretty cool! Need to remove the Blogger navbar from your blog? Here are some easy CSS edits. Copy the following code and paste it in your style sheet. I'm often asked why I choose Blogger to run this blog. The truth is I run many blogs and some are managed by Blogger and others aren't. I use Wordpress as well as a custom CMS that we wrote. The advantage of Blogger is the ease of use. They make it so easy to start a blog it's crazy. Yes, it's a little cumbersome to change the default templates if you're not experienced on the web. Yes, Blogger is not as flexible as Wordpress. Yes, I don't like the navbar that's forced on me if Blogger is hosting my blog. Even so, I think the ease of use factor that Blogger provides is the key. For blogs with heavy traffic that generate revenue I use Wordpress. For less active blogs I prefer to use Blogger. This is a short list of features that I'd like to see added to Yahoo Mail. I like Gmail's speed and if it weren't for their conversations, I'd be using Gmail exclusively. If Yahoo Mail would add these features they could really corner the market on email. Compared to Gmail Yahoo mail is simply slower. Yahoo has done a lot to speed up their initial load time, but opening messages, searching, and moving around Yahoo Mail is slow. Gmail loads your messages so fast it's nuts. I hate the conversations in Gmail which is why I still use Yahoo Mail. Button for moving messages to an archive folder, instead of drag and drop. Gmail has something going with their archive feature and it makes saving emails easy. Many people want to keep all email. Having it in a menu is cumbersome. Have one button on/off. I don't know why but Gmail's spam filter is much better than Yahoo's. I get more spam at Yahoo even though the address that the spam is mailed to on my server, and forwarded to both Yahoo Mail and Gmail. We need a filter to only receive mail from safe list a la MSN. I love Hotmail's filter that allows me to only receive mail from my contacts, or those on a safe list. Earthink has this option as well and it's very handy. How about a signature drop down that allows multiple signatures as in Outlook. I use this feature all the time as I run several different businesses through one email account. Ability to edit the subject line of an email. Move the location of search box to top right. Most applications have a search box on the top right. You could implement something like Firefox has where you'd drop down a menu option if you want to search the web, but it should default to searching mail. It makes sense to have the search over the mail window instead of over the folders. Many users who have used Outlook for years need a way to upload our existing email archive to Yahoo. 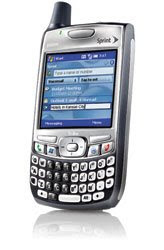 I love the contact pictures that show up in my email and text messages on my Windows Mobile phones. It completely changes the user experience when reading email. Adding this feature in Yahoo Mail would be huge. When receiving a short text message there is no way to get directly to the text message if it is a short message. Only a Reply option is there. Hitting green phone button brings up a menu. Lame. No keystroke to get to folder list in mail app. Bluetooth randomly disconnects even though it is on. Option button must be held with other buttons to be effective. Option +Start. On the Palm OS version if you hit Option it stays in effect until you hit another key. Green phone button menu doesn't contain missed calls. Bluetooth cuts out if you make a call without the headset after it's paired. Even if you get an incoming call that goes to voicemail it cancels the pairing. In most applications if you hit the green phone button you go back to the desktop. In the messaging application that works unless you are on an email from someone in your contacts. If you are reading an email from someone in your contacts and you hit the green phone button, the phone wants to make a call. The problem is that it's confusing to try and figure out how to get back to the Today screen. 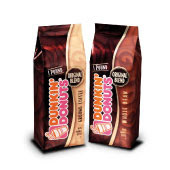 I just ordered more Dunkin Donuts coffee. Ever since my friend turned me on to this coffee I've been hooked. It's better than Starbucks by a mile. After my first cup I thought, "that's not bad." After my 3rd cup I thought, "I'm hooked." Try it! You can order it right off of their web site, or visit your local store. Antonella Barba was voted off American Idol tonight and it's about time. Yes, she's a hottie but she can't sing. She shouldn't have even made it to Hollywood in my opinion. If it weren't for her good looks she never would have made it through. This just cracks me up. Here's a guy who pays bills with pennies if the company he's dealing with causes him hassles. Here's his story about paying for his car tags with pennies. 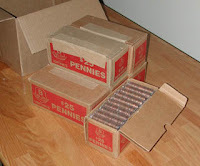 "So, I'm paying my tags in pennies again this year, but with a new twist� I'm mailing them! Since I have the forms and know the amount, I see no reason to stand in line and argue about whether or not they will accept my pennies. Since I have been paying for things with pennies for years, I have checked with several lawyers and they have all advised me that the government must accept them. To refuse them would undermine the trust and faith in the U.S. dollar and would ultimately lead to economic depression and collapse." Thanks Scott for the link. 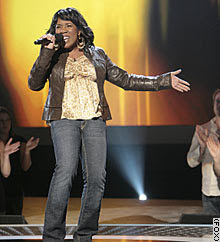 Once again, Melinda Doolittle has rocked the house. She's really the only true singer on American Idol this year as far as the women go. Everyone else is just screaming until they thing they sound good. If she doesn't make the final two this competition is bogus. Go Melinda! You've got a lot of musicians out here cheering for you. 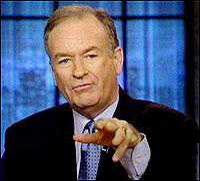 So I probably agree with Bill Oreilly more than I disagree with him, but I'm getting tired of his tactics. He's becoming a bully when he chases people down to put them on TV just because they don't want to do an interview. What if someone did that to him? Ambushing someone at home is just beyond decency no matter what they've done. I'm also tired of the terms like "far left wing bomb thrower" or "looney left." Has he ever referred to Ann Coulter as a far right wing bomb thrower? Even though I agree with Ann Coulter a lot of the time, the way she delivers her ideas can be over the top. Bill has questioned her on this, but has never called her a "right wing bomb thrower." C'mon Bill, just be fair. Scooter is bummed. Did he lie? Maybe. 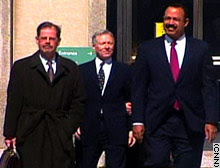 I just don't see how an experienced lawyer gets into a situation where he's under oath, and then lies. I think he's smarter than that. Furthermore, this is really the criminalization of politics. All of this should've been handled in a political way especially when the special prosecutor knew that nobody really leaked the name of Wilson's wife. 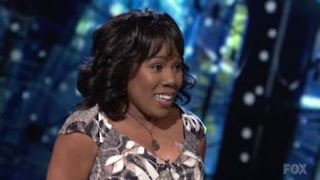 As far as I'm concerned Melinda Doolittle is the only stand out in American Idol this season. It has always been my contention that American Idol should be re-titled, "American Amateur" because 99% of the contestants just do not have it. In this case, Melinda Doolittle obviously does have it. She's the real deal and I hope she wins.